David Bowie’s sudden death at the age of 69 has prompted a slew of articles commemorating the late rock star’s overall legacy, as well as his ability to maintain a uniqueness of character while working in an idiom filled with singular talents and odd personalities. Most of these requiems have focused on Bowie’s style and the gender fluid iconography that style spawned. This is understandable considering Bowie, who self-identified as a “gay mime” and went on-record saying that as a recording artist he had “nothing to do with music,” lent credence to the idea that rock and roll is as much about the aesthetics its practitioners create as the music they play. The various personas Bowie occupied during his almost 50 year career as a recording artist—Ziggy Stardust, the Thin White Duke—fueled his popularity and influence within rock and roll and outside of it. 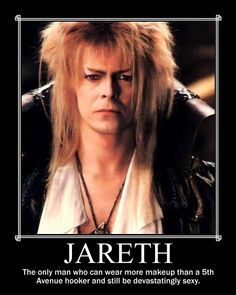 There’s a whole generation of pop culture consumers who know Bowie first as the creepy and seemingly androgynous Goblin King from Labyrinth, and second as a guy who cut a few records. Yet as the rock community mourns the loss of one of its most iconic stars, it should be stressed over and over that Bowie’s greatest strength and the reason he was able to sustain musical relevance for five decades was not his visionary style or willingness to erase gender boundaries but his talent as a songwriter. That talent more than anything else allowed Bowie to make indelible music in a number of different genres, from prog rock to soul to electronic dance music, and it’s the reason people will continue to listen to Bowie long after the memories of all the wonderfully bizarre outfits he donned through the years fade into oblivion. Anyone who doubts Bowie’s songwriting prowess should take a moment to listen to some of the tracks on Rolling Stone’s list of his 30 essential songs, as this collection beautifully illustrates that a great songwriter can ply his talents in very different genres without stumbling or leaving something to be desired. The list includes the stripped-down, acoustic driven “Space Oddity,” the propulsive rocker “Rebel Rebel,” the funkadelic “Fame,” and the infectious dance number “Let’s Dance,” to name a few. Each song is imminently listenable, propelled by just the right combination of solid music, plentiful hooks that are never obnoxious, and vocals that are effective but not gaudy. The same compliments apply to most of Bowie’s albums. Take "The Rise and Fall of Ziggy Stardust and the Spiders from Mars," the album that solidified Bowie as a household name. It’s a record that I myself have been critical of in the past, incorrectly stating that its existence as a concept album about a bisexual alien rocker—a premise that sounds like the sort of thing gullible rock critics will rush to praise as “edgy”—was the primary reason it garnered so much acclaim. It was an album that I struggled to appreciate upon first listen, but the more I played it the more I came to realize that the record is, without question, nearly perfect. It’s a series of tightly written, well-constructed songs that yield equal levels of enjoyment whether you listen to them closely while sitting in the dark or play them in the background while cooking dinner. The secret formula behind great songwriting remains esoteric, knowable only to those with the ability to do it. There’s no metric capable of quantifying the difference between musical genius and musical failure. Rock is still a qualitative medium, open to interpretation by individual listeners and communities of fans and critics. Yet any music lover with an inkling of common sense won’t deny that David Bowie had the gift. The man knew how to write songs capable of generating buzz at the time of their release and standing the test of time. Some critics had a habit of pejoratively labeling Bowie a musical chameleon; he’s sometimes stereotyped as an artist who sought out whatever style was popular in the moment and then working in that style so as to remain relevant and sell records. Such criticisms have always struck me as immaterial. Whether or not Bowie held a genuine interest in the many genres with which he experimented was secondary to his ability to make good music in each of those genres. The end products he left behind are far more important than the motivations underlying those products, and music lovers are better off on account Bowie’s refusal to constrain himself to one musical category. The Beatles were often praised for their willingness to explore a variety of musical styles during their brief existence, and their multifaceted discography is still regarded as the band’s greatest attribute. Bowie took a similar approach to making rock music, but stretched it out over a much longer period of time. There will always be recording artists who amass fame by trotting larger than life personas into the public realm and shocking audiences with convention defying behavior. But those that lack a catalogue of quality songs end up functioning as flavors of the month. Bowie backed-up his outlandish personas with great rock music. You can divorce his work from his aesthetic without losing any of the former’s value. That’s why he mattered throughout his life and will continue to matter in death.